I was planning on making this post a few days ago but recently I've been sick and since I'm now feeling better I have this post to post for today. 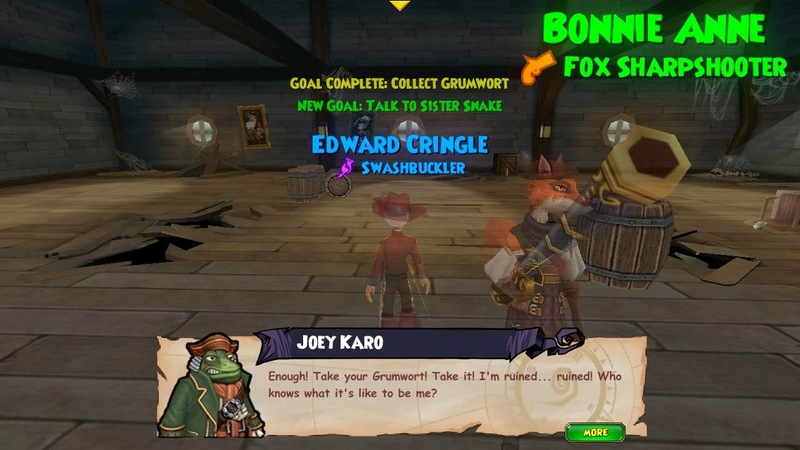 Before I begin, I want refresh you memory on what I did last time I quested on my Swashbuckler, Edward Cringle. 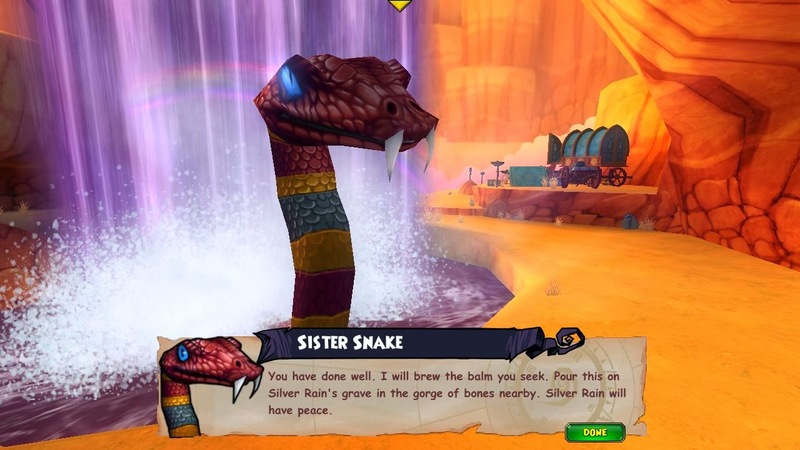 On my last post Sister Snake sent me to Madame Vadima to find out if she knew where I could find a Ghost Tear and Grumwort Herb so I can cure Silver Rain from the snake venom, ew, so she can move on to the Spirit World. 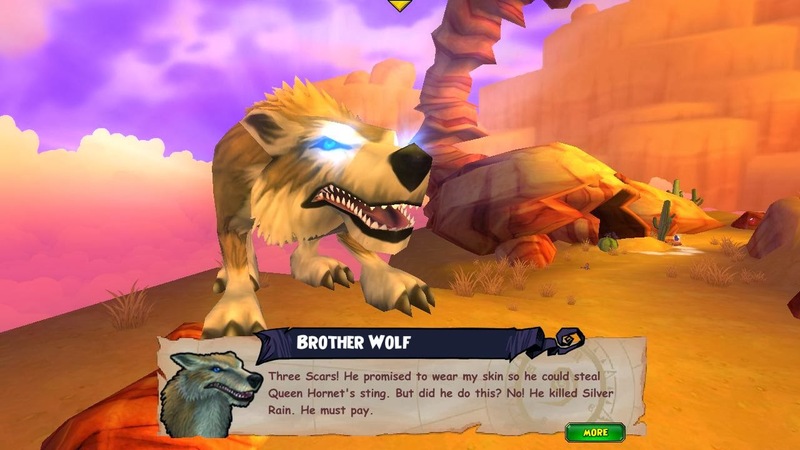 This is all part of Brother Wolf's quest to help Silver Rain move on because he was her protector and couldn't protect her from Three Scars so he's going to try to help her move on. Well.. I'm going to help her move on so the guardian spirits can help me help the Bison :P. Before I get ahead of myself I'll let you know that Madame Vadima told me where to find the Ghost Tear and I had to fight someone that had it and all I have to do now is find the Grumwort Herb. Madame Vadima sent me to Frogfather to see if he knew where I could find the Herb since she didn't know how to find it. 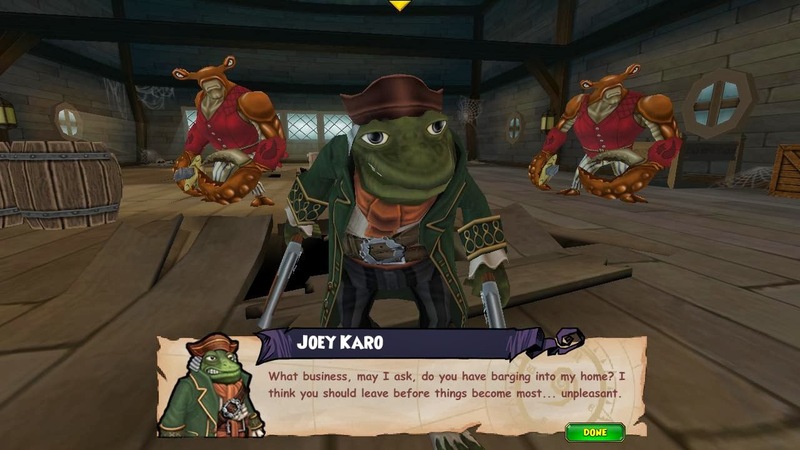 Frogfather told me that his business partner, Joey Karo, stole his supply of Grumwort and he currently resides in Flotsom. Frogfather told me that if I convince Karo what he did was wrong he will give me some of his Grumwort. I knew this was named second for a reason, I had that feeling I'd have to do another fight to find the Herb and Frogfather said I had to fight Joey as soon as he said his name! I knew I would have to fight Karo as soon as I arrived since he didn't like guests.. RUDE! After I defeat him he had no trouble giving me the Grumwort. Lol he should have thought of who he was before he betrayed Frogfather and it would have made my job easier.. I mean it was easy, he was easy to defeat! I didn't have any trouble defeating a frog, but I did have trouble with the quest after the one above... I had to talk to ssssisssster ssssnake! You have no idea how much it bothered me to type that, don't ask me why! I have no idea why :P. Anyways, After I was done with Karo I sailed back to Cool Ranch to talk to Sister Snake so she could make the balm to help Sister Rain move on to the Spirit Realm. 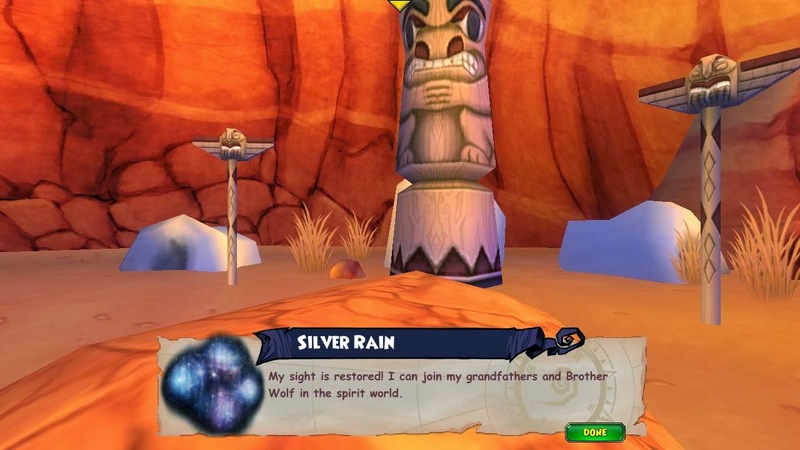 After I was done talking to Sister Snake she gave me the balm to save Silver Rain so she could move on and join Brother Wolf in the Spirit World. What did that mean for me?! Well... I'll tell you.. 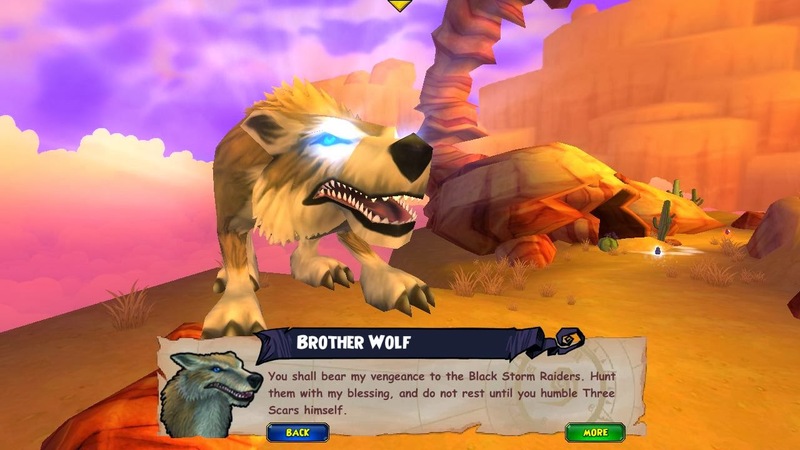 It means I had to talk to Brother Wolf to finish the quest, well so I thought.. I didn't finish the quest yet. I believe there will be a part four of this quest but that's okay. 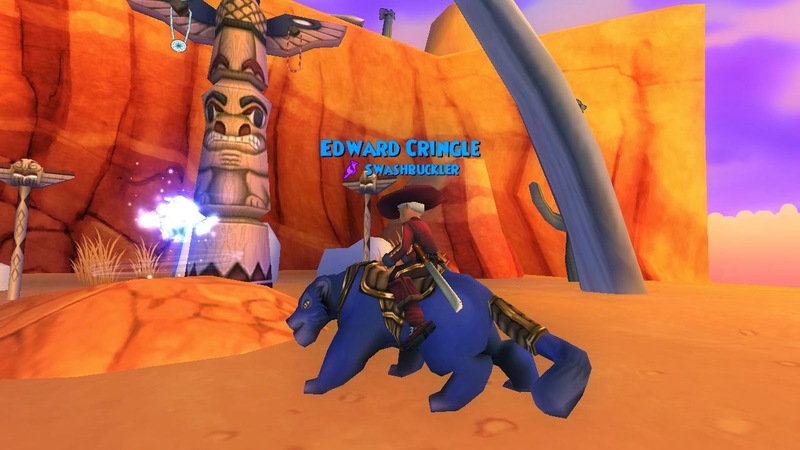 I love blogging and I'm happy I'm questing more in the game and bringing more of Edward Cringle to this blog! If there wasn't an Edward Lifegem this blog would be called Around the Spiral with Edward Cringle. 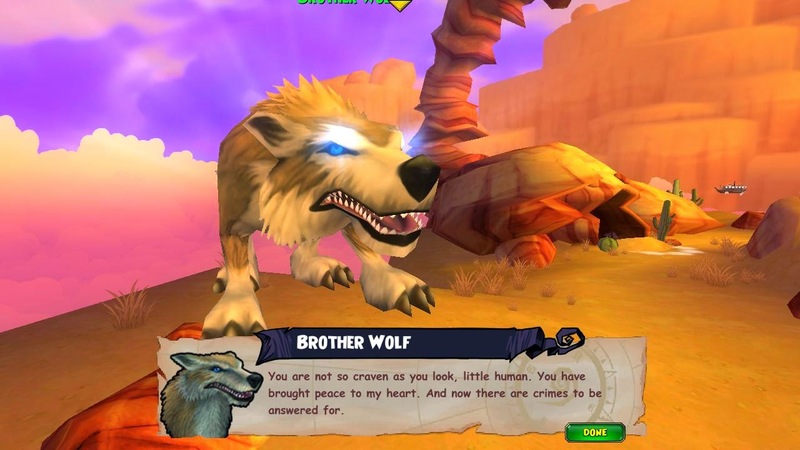 :D I haven't blogged in a few days and just want to type as much as possible but I'm running out of words so I'll just have to post a few last pictures once I talk to brother wolf and learned a little more about part four which I will blog about later. 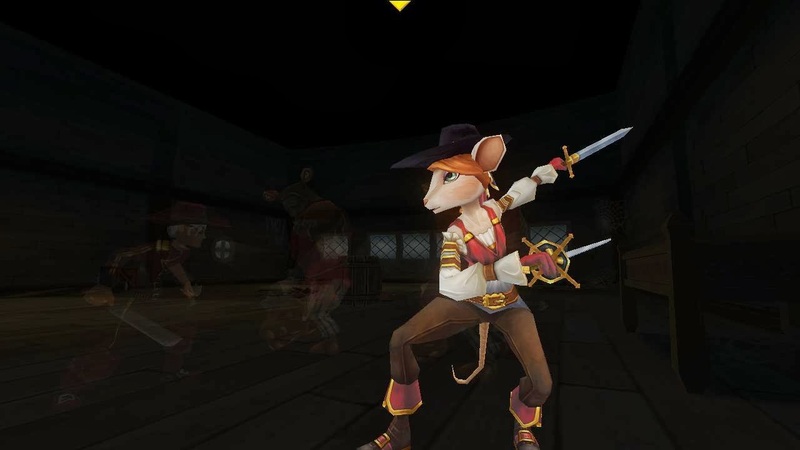 Until then, I'll see you around the Spiral, pirates!